What's new in Google AppsWhile you need a graduate degree in Office-ology to stay on top of the Office 365 changes, much less the options, Google Apps retains its svelte, pointed focus. Depending on your predilections and needs, its leanness may be its greatest selling point or its Achilles' heel. Google Apps hit the scene years before Office 365 was a glimmer in Ballmer's eye, and it continues to stand out as a straightforward workhorse. But it isn't fully compatible with Office documents, and it doesn't have Office 365's massive control infrastructure. Google's developments in the past two and a half years span a wide range of improvements, including the addition of Google+ and Hangouts, a major Gmail redesign, admin alerts, and many places in between. However, several of those improvements were made to the apps themselves, not to the official "Google Apps" umbrella that binds the apps. For example, Google still doesn't have a Google Apps-style controlled environment for Google+. While a Google Apps admin can turn Google+ on or off as a whole, the admin can't control who's interacting with whom (yet). Google has been criticized for not keeping up with the Joneses -- or the Offices -- in many areas, including security and admin control, unified communications, social networking, and document compatibility, always a sticking point. Google Apps doesn't have a "Facebook for the Enterprise," and many customers have no problem with that at all. Google has a lengthy list of detailed improvements to Google Apps, on its Google Apps Updates blog. From sharing Google Docs files with someone who doesn't have a Google Account, to tips on converting to the new Google Groups interface, the blog lists hundreds of improvements and changes. To many users, the most important change to Google Apps in the past couple of years is the ability to download and save Gmail messages and Calendar items, which is rolling out just now. For enterprises, the mid-2012 launch of Google Apps Vault was a key addition. For an overview, check out Google's Vault FAQ. Not so long ago, a major selling point for Microsoft solutions was the ubiquity of Office. Experience with Microsoft Office was expected by employers, and by the same token, employees expected to work with Word, Excel, Outlook, or PowerPoint in a new job. That's changing. The number of potential employees that actively use Gmail, for example, has never been greater. Some potential employees may find not having to use Microsoft Office applications a distinct employment incentive. Privacy differencesOne important consideration, when comparing Microsoft and Google products, has nothing to do with price or features. It has everything to do with privacy. Given recent revelations about our government snooping on anything that moves, the questions about corporate privacy and how companies such as Microsoft and Google will use your data have only become more pointed. Both Microsoft and Google very explicitly explain that they may serve up your data in response to a properly filed subpoena. Both claim they will try to contact you if the situation arises, although they both are barred from notifying you should the subpoena involve certain governmental agencies. Office 365 vs. Google Apps: SetupThe hardest part of setting up a free trial for Office 365 lies in choosing the right plan to begin with. If your company is on the "S" side of the SMB fence, the Office 365 Small Business Premium has a free 30-day trial for up to 10 users (actually, 10 email addresses). The plan taps out at 25 users. If your company has more than 25 email addresses or you figure it'll take more than 10 addresses to get the features tested, start with the Office 365 Midsize Business trial. That gets you started with 25 free email addresses, and everything you set up in the trial can stick with you until your company grows to more than 300 users. That's the approach I took for this review. Once you sign up for an ID (very simple, no credit card required) and log on to the Admin site with your new ID, you're greeted by the Admin Center dashboard, shown in Figure 1. You can start with the Setup link on the left of the Admin Center, but there's a better way: Microsoft's Office Blog has a new video that will step you through the process. If you want to skip the sales briefing at the beginning (though it offers a good overview of features you may not know about), the meat of the setup help starts at 4:50. 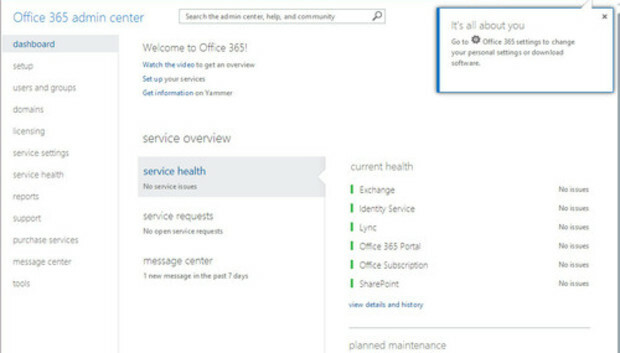 Figure 1: The sweep of the Office 365 Admin Center dashboard reflects Office 365's broad feature set. As part of the setup process, you need to hook Office 365 into your existing email address. If you already have your own domain and email address (such as Woody@AskWoody.com), you have two options: You can either live with the assigned domain name (blahblahblech@AskWoody213.onmicrosoft.com), and stick a file on your website to verify that you own it (as I had to do with AskWoody.com), or you can buy a new domain from GoDaddy (typically $13 per year). Setting up Google Apps for Business, by contrast, is like falling off a log. You have to go through the same Texas two-step to verify that you own a domain name or buy a new domain from Google ($8 per year); otherwise, the setup process is blissfully simple. Get your admin account set up and you'll find yourself at the Google Apps Admin Console shown in Figure 2. Click Start Setup, verify that you own the domain name you said you own (a process that's now assisted, step by step, as long as you can log on to your domain's host with admin rights over your domain), and you're ready to set up all of the details for a Google Apps for Business account. Figure 2: Google Apps' much simpler admin console befits a much simpler set of cloud services. In the past two and a half years, both Google Apps and Office 365 have made enormous strides in their setup sequences. Office 365 now remembers your settings as you go through setup, so you can leave off and pick back up at any time. And the Google Apps approach to injecting a text file on your existing domain is very slick indeed. The primary differentiation between the two: Office 365's setup is much more complex, simply because the package is much more complex. For example, Office 365 has licenses for individual users and packages that can be granted or withdrawn at any time, as shown in Figure 3. Google Apps are Google Apps, and they're available with or without a license. Figure 3: Office 365 setup is more complex, in no small part because of the mind-boggling array of choices. I had problems with the Results step on a new Office 365 user -- I got caught in a loop that consistently told me, "Sorry, it looks like that email address is already in use," even when I unchecked the box and told the setup routine to skip sending emails. I have no idea why. Getting out of the loop involved clicking Back many times. I couldn't simply back out of that part of setup. Office 365 vs. Google Apps: FeaturesYou no doubt know that Google Apps (with or without the "For Business" appendage) is only partially compatible with the standard Office file formats. Many people find the online-only Google Apps do everything they need. But Google Apps have neither the depth nor the breadth (nor the bloat!) of the traditional Office programs. The knife cuts both ways. Google Apps were designed from the ground up for compatibility with all sorts of devices. They have multi-user collaboration baked in. Google Docs, Sheets, Slides, Gmail, Calendar, and Google Drive can store data on a local computer, but only by using the HTML5 capabilities of the Google Chrome browser and apps written specifically to run with Chrome. The Microsoft Office programs are, well, the same programs you've used for the past hundred years or so. If you choose the right Office 365 package, you get full-featured Windows and Mac OS versions. They come along for the ride. When you subscribe to the business versions of Office 365, you get two additional online products that aren't available free to just anybody. First, you get the "pathetically bad" Office Mobile for iPhone and Android, which I mentioned earlier. Second, you get the Outlook Web App. If you're currently using Outlook and you find yourself needing to check your mail without your laptop, being able to get at your Exchange (not Outlook.com, but Outlook) email, with all of Outlook's bells and whistles, just using a browser, can be a real eye-opener. See Figure 4. Figure 4: With the business versions of Office 365, you also get access to the Outlook Web App, which works on just about any browser, on any platform. There's a huge array of additional differences between the productivity apps in Office 365, compared to Google Apps for Business. Office documents almost always survive a round-trip through the Office Web Apps. For example, you can use Word Web App to open a fairly complex Word document, make a few changes, save it, and expect to get back a document that looks more or less like the original. You can't add any fancy formatting to the document in Word Web App -- the options aren't there -- but at least you won't break anything ... usually. Google Docs, on the other hand, has no such guarantee. In my experiments, I've found that most simple documents go through the round-trip with few problems. Save a straightforward memo with Google Docs (File, Download As, Microsoft Word), and you're likely to come up with a reasonable rendition in the DOCX file. Not long ago, Google Docs broke a very large percentage of all the Word documents handed to it. Now, it appears to me as if Google refuses to open Word documents it doesn't understand. That's an improvement, albeit a frustrating one. That said, Google Docs, Sheets, and Slides have nary a fraction of the features offered in the desktop versions of Word, Excel, and PowerPoint. You would never want to put together a moderately complex document in Google Docs, for example. Just getting the headers and footers to work right would drive you nuts. Then again, complicated headers and footers in Word aren't a walk in the park, either. The Office programs are well established and mature. Google Apps are scrappy and improving. Case in point: pivot tables. While the Google implementation of pivot tables in Sheets isn't as capable (or complicated) as Microsoft's, Google hits the high points very nicely. Back when every single desktop needed a copy of Office (or at least when the powers-that-be assumed every desktop should be Office-equipped), forgoing Office apps on most PCs was unthinkable. That's changing. Now, it would be worthwhile to take a hard look at how badly your organization needs a chicken in every pot. Office 365 vs. Google Apps: Ease-of-useOnce again we're back to Queen Elizabeth 2 vs. the Sloop Google. It all depends on what you want to do. If you're accustomed to using Outlook on the desktop, the Outlook Web App will look more or less familiar, whereas Gmail may turn your world inside out. If your users are accustomed to Word, Excel, and PowerPoint, the Office 365 choices don't change a thing -- quite literally a zero learning curve. On the other hand, if your people are using Google Docs at home already or if they've come to loathe Office's more frustrating aspects, perhaps the much simpler Google Docs approach will fit the bill. Over time, Gmail and Outlook.com have come to look and act much alike. Although there are purists who would argue the supremacy of one over the other, on balance, I find it just as easy (or as hard!) to wean people from desktop Outlook and onto either online service. If your transition to Office 365 includes moving to Outlook.com, you're in for some user pushback. On the other hand, if most of your users already have online email accounts, going to either Outlook.com or Gmail should be a relative piece of cake. Assuming you come from an Outlook shop, and you're going to continue using Outlook on the desktop, Office 365 will fit like an old glove. Since many (if not most) office workers these days are familiar with online email systems, the learning curve for Gmail shouldn't be daunting. Getting used to Google Apps might present a few challenges, but most will find it quite straightforward, particularly if they're inured to the complexity of Office. Office 365 vs. Google Apps: AdministrationAdministering an Office 365 installation can be demanding, precisely because Office 365 offers a wide array of options. Many admins who aren't used to handling Exchange, Lync, or SharePoint will need experienced help to get the beast up and running. Administering Google Apps for Business is comparatively easy because the choices are straightforward and well laid out. Office 365 has so many nooks and crannies, as well as so many tools at hand, that someone new to the product would be well advised to look into everything on offer -- that means training, lots of time with Google (er, Bing), participation in one or more of the online fora, and likely consultation with other folks who have been around the block a few times. When evaluating the administrative burden of both products, the edge goes to Google Apps. While Microsoft has struck an excellent balance between capability and ease of administration with a very polished and extensive set of admin tools, Office 365 is a much broader, more encompassing product that is plainly more difficult to manage. Office 365 vs. Google Apps: ValueGoogle Apps runs $50 per user per year, with no contract required. Adding Google Apps Vault for archiving and compliance brings the price up to $120. The other Google products that I mention in the Features section are all free, all the time. As I explained in the complicated discussion at the beginning of this article, Office 365 with Office 2013 licenses vary between $150 and $240 per year, per head. Google Apps is an excellent value, period -- it does a lot, for a pittance. Office 365's value is entirely locked up in whether your company wants to rent the latest version of Office Professional Plus. If you need the Office desktop productivity suite and can move from your current Software Assurance plan, then Office 365 is every bit as good a value as Google Apps. Office 365 vs. Google Apps: The bottom lineThe two packages are neck-and-neck in the ratings, but they're completely different in real life. Google Apps is small and easily administered; it covers the high points; and it doesn't try to reach into the more obscure corners of your company or organization. Office 365, on the other hand, offers the best (and most complex) enterprise support in the business. I'm continually amazed at how well Microsoft has built out Office 365, rolling feature upon feature into the mix, yet keeping the whole package remarkably stable, usable, and manageable. If you're looking at Office 365 and Google Apps for your small business and you don't have a pressing need for Office doc compatibility or a tied-down security requirement, pull out your calculator (or your Google Sheet) and do the math. On the Google side, you have $50 per year per person, plus the price of the necessary copies of Office (rent or buy). On the Microsoft side, Office 365 will run $150 per person per year for up to 25 users, or $180 per person for up to 300 users -- $240 per seat to get all of the bells and whistles. I bet you'll find that, for most small and midsize businesses, Google Apps is considerably cheaper -- but it may not do what you need to do. There's a reason why Office 365 is doing well in large enterprises. This story, "Review: Microsoft Office 365 vs. Google Apps," was originally published at InfoWorld.com. Follow the latest developments in cloud computing at InfoWorld.com. For the latest developments in business technology news, follow InfoWorld.com on Twitter.